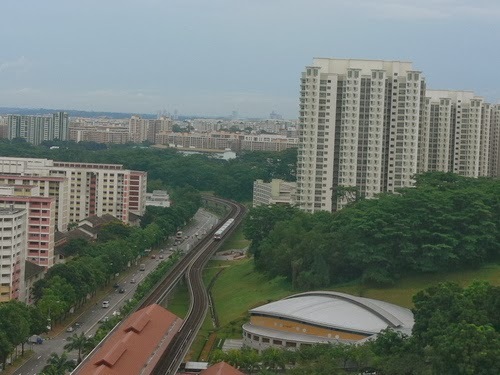 Bukit Gombak is located at the Western part of Singapore, District 23. There are private condominiums estates and HDB flats in this area. Nearest Mrt station is Bukit Gombak MRT station. Transportation in this area is made easy by Pan Island Expressway (PIE) and Bukit Batok Expressway (BKE). Nearby shopping centre include West mall, Bukit Batok West Shopping Centre and The Rail Mall. Recreational facilities located at Bukit Gombak include the Bukit Gombak Town Park, Bukit Gombak Community Center and Bukit Gombak Clubhouse and Bukit Gombak Sports Hall and stadium. There are also various schools in the vicinity. These include Dazhong Primary School, Bukit View Primary and Secondary School, Assumption English School and Boys' Town Singapore.